Word has reached us with the passing of RNPA member retired Northwest pilot Captain James Nelson Bates, age 80. Captain Bates joined Northwest Airlines 12-06-1965. He is survived by his wife Caryl, their children and grandchildren, plus many other friends, colleagues and family members. 16033 E Cholla Drive, Fountain Hills AZ 85268-4437. 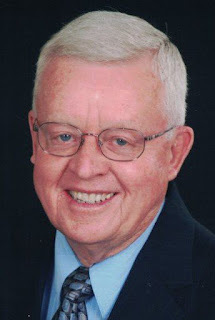 James N. Bates, age 80, passed away on July 5, 2018 after a courageous battle with cancer. He was born in Brookings, S.D, attended high school in Dawson, Minn. and college at South Dakota State in Brookings, S.D. He met his wife Caryl of 58 years in Dawson and they were married March 19, 1960. Jim joined the Marines in 1961 and received officers training in Quantico, Va. before orders for flight training in Pensacola, Fla. He served in a helicopter squadron for four and one half years. After leaving the military, he was hired by Northwest Orient Airlines where he was employed for 30 years and retired as a 747 captain. When Jim wasn’t flying for the airline, his life revolved around aviation by running a fixed base operation, serving in the Civil Air Patrol and helping young aspiring pilots earn their license. Jim is survived by his loving wife, Caryl; daughters, Jeanne (Michael) Gronholm of Neenah, Wis. and Caren (Todd) Wilkinson of Knoxville, Tenn.; four grandchildren and one great granddaughter, Brian Gronholm of Wichita, Kan., Heather (Sam) Alexander and Amelia of Knoxville, Tenn., Megan (Derek) Thorsenston of Fargo, N.D. and Shelby Wilkinson of Knoxville, Tenn.; one brother Doug (Sharilyn) Bates of Dawson, Minn. and many other loving relatives and friends. Preceding him in death is his granddaughter, Jamie Wilkinson, his parents, Gipson and Elsie Bates and nephew, Jedd Bates. A memorial service will be 11 a.m. on Wednesday, July 11, 2018 at Fountain Hills Presbyterian Church. In lieu of flowers, memorials preferred to be given to Fountain Hills Presbyterian Church, 13001 N. Fountain Hills Blvd, Fountain Hills, AZ 85268. Subject: RNPA News: Jim Bates Has Flown West. James Bates was born on March 24, 1938 and passed away on Thursday, July 5, 2018. James was a resident of Arizona at the time of passing.